Hello all. I am asking for donations to go to New York for clinical trials to save my life. It takes a lot of courage to say it, but I'm dying. I have lived with GIST cancer for well over 5 years and have finally started to resist chemotherapy in a big way. My oncologist has asked me to sign a "do not recuscitate" order and has admittted nobody knows if I have a few weeks left to live or maybe a few months. I am barely mobile. I am exhausted. The tumors have spread to my hip bones and continue to put pressure on my liver and kidneys. I have leg, feet and abdominal swelling and walk with a cane when I can walk at all. But I am not ready to die. I am not giving up. Modern medicine may have run out of chemotherapy medication for my tumors but there are still these amazing things called clinical trials. You see, Sloan Kettering cancer hospitals in New York has clinical trials as we speak. I am a good candidate for these trials of new, experimental drugs. Someone has to have the courage to do it - I have nothing to lose and trials are how good medications are discovered and lives are saved. The next life saved could even be yours. Long story short, I now wish to take my fight to the next level and undergo clinical trials in New York City. I can't give up now. Unfortunately, I live in St. Paul, Minnesota. I'm going to need airfare and lodging for an indefinite period of time. I humbly appeal to all of you in a spirit of love and hope for financial help in getting to the trials and having a place to stay in one of the most expensive places around. Every little contribution would help and you would be giving me a chance at prolonging my life. Some folks have done clinical trials and ended up thriving 20 years later. We never know. All I know is that I'm not giving up. I refuse to give up and die. I know you would all expect nothing less of me. I can only do this with your help. I would consider every donation a blessing from the heart. I will keep you posted as to my progress in this journey and I pray it gets off the ground with your help. This all has to happen quickly and can't wait. New York awaits. I might be able to stay alive through your amazing generosity and kindness. I just need a chance to go on and whatever monetary help you can give, for airfare, transportation and lodging from Minnesota to New York. 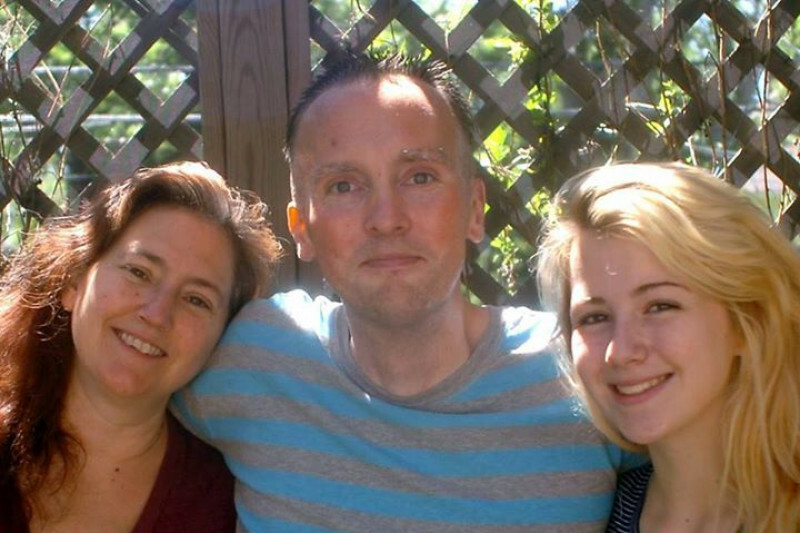 Due to Aaron's passing, he was unable to go to NYC for the clinical trial. There were many generous donations, if anyone wants arefund, please message Michelle Miller at bookhouseshell@yahoo.com. otherwise the monies will be used for final expenses and any remaining will be given to two charities that helped Aaron. Thank you. i have no idea what the future will hold in terms of New York expenses. Being so new to this, I've decided to keep things going. Please feel free to donate. As a testament to your amazing generosity of spirit, we reached the initial goal in about 19 hours. I've never heard of so many loving, caring people taking over Gofundme quite like this. Despite everything, I am truly blessed to know all of you and have you in my life. My life partner, Michelle, feels the same way and expresses her humble gratitude. Thank you from the bottom of my heart.